Yesterday morning, Andover woke up to firefighters tackling a ‘small” fire in the warehouse of Ocado in Walworth Business Park. The fire, however, has gone progressively worse. More than 200 firefighters are tackling to blaze in a bid to put it out, however, the roof has collapsed. Small explosions can be heard due to chemicals and parts of the warehouse collapsing. 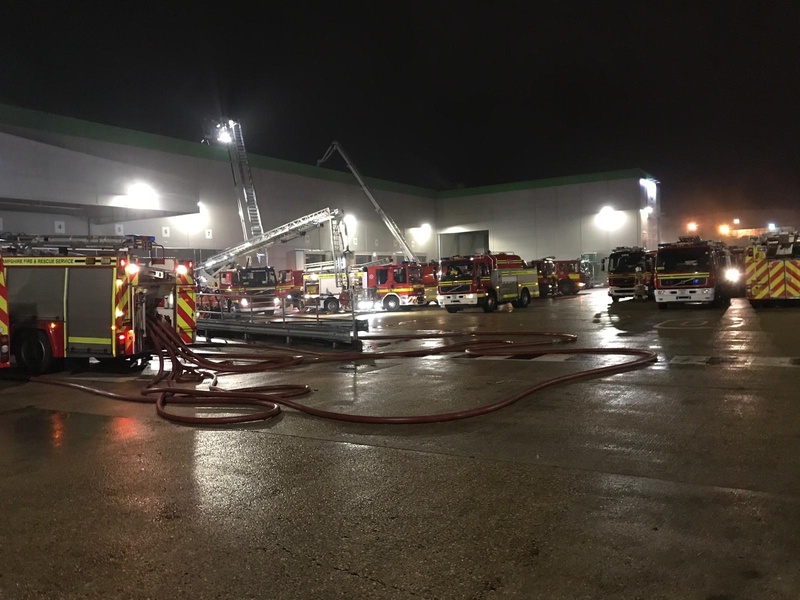 Four firefighters have been treated for ‘minor injuries’ – the injuries sustained was smoke inhalation (06/02/19). A local, who is currently on the scene, told Andover and Villages that this wasn’t an explosion but the roof collapsing. Between 5-8 ambulances were spotted heading in the direction of the incident along multiple fire engines. It is unclear if anyone is injured. Hampshire Fire & Rescue has been contacted for comment.